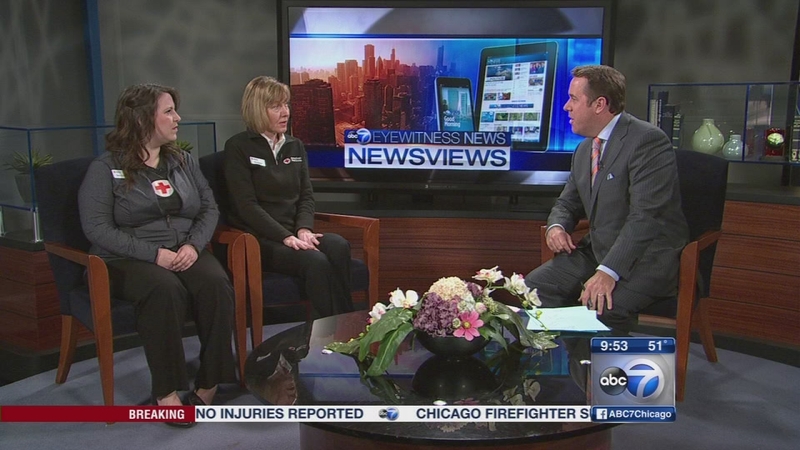 CHICAGO (WLS) -- This week on Newsviews, our guests are Lisa LaSala, executive director of the American Red Cross of Northwest Illinois, which is handling relief efforts in Fairdale and Rochelle, and Joy Squirer also from the Red Cross. LaSala and Squirer have been in Kirkland and Rochelle since Friday, coordinating relief efforts after the devastating EF-4 tornado. Lisa LaSala, and Joy Squirer of the American Red Cross of Northwest Illinois join us to discuss child abuse prevention month.